Maryland State Police say that the multiple accidents and lane closures Friday morning on the Outer Loop of the Capital Beltway were caused by a buildup of oil on the road and a mixture of moisture. 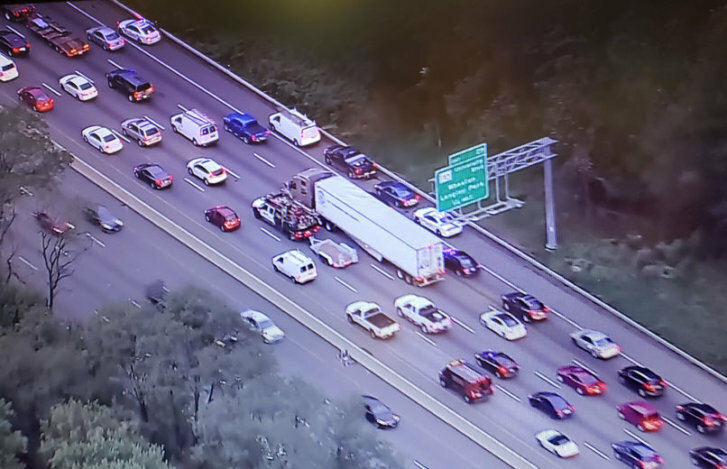 WASHINGTON — Maryland State Police say that the multiple accidents and lane closures Friday morning on the Outer Loop of the Capital Beltway were caused by a mixture of buildup of oil and moisture on the road. Police initially reported that the crashes near Connecticut Avenue were due to an oil spill. Troopers received phone calls reporting a possible oil spill around 6 a.m. Multiple crashes were also reported. Troopers on the scene did not find evidence of an oil spill. There were a total of six different accidents and other spinouts involving tractor trailers and dump trucks, according to Montgomery County Fire spokesman Pete Piringer. Maryland State Police say three people were transported to local hospitals; their injuries aren’t life-threatening. Some of the cars involved in the crashes have substantial damage. “While there’s no exact count, it looks like there were upwards of a dozen vehicles involved. Some were single-vehicle collision spinouts. Others were multiple vehicles colliding,” Piringer told WTOP. At 7 a.m., WTOP Traffic reports the backup was about 7 miles lines long, starting on New Hampshire Avenue.